For over 2,500 years Jewish communities have existed in the lands now known as the Middle East and North Africa, in Aden, Algeria, Egypt, Iraq, Lebanon, Libya, Morocco, Syria, Tunisia and Yemen, as well as in Iran. All of these Jewish communities, however, were severely endangered by the events of the mid-twentieth century. The spread of Nazi propaganda and extreme Arab nationalism in the 1930s and 1940s threatened the status of Jews throughout the Middle East, and the establishment of the State of Israel in 1948 spurred almost all of these Arab countries to declare war, or support the war, against Israel. This anti-Zionist sentiment in the Middle East was not directed solely at the State of Israel. Jews living in Arab countries were uprooted from their homes or became subjugated political hostages. In virtually all cases in which Jews fled, their individual and communal properties were unduly seized, expropriated, or confiscated without just compensation from the relevant Arab governments. Furthermore, these Jews were the fortunate ones; many Jews did not get to leave these Arab countries but rather were imprisoned, tortured, raped or murdered. 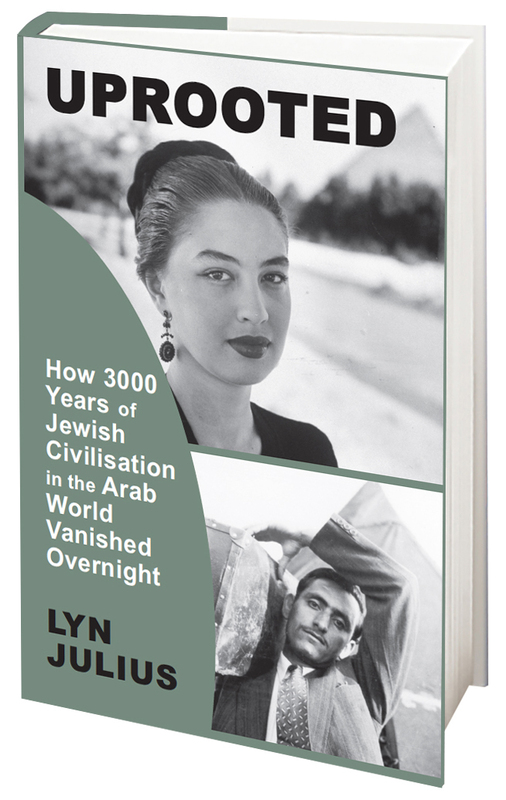 Around one million Jews lived in the Arab lands of North Africa and the Middle East at the start of the twentieth century. By the start of the twenty-first century, less than 3 percent of that one million still remain; mostly in Iran and Morocco. 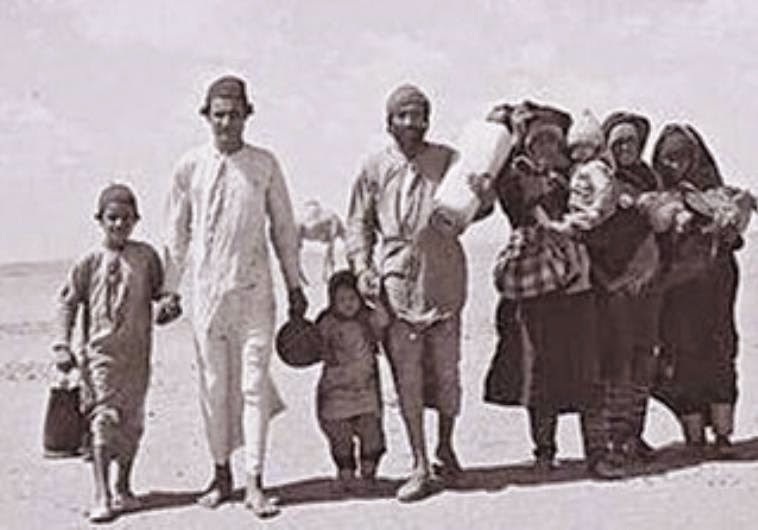 Approximately 650,000 Jews from the Middle East and North Africa immigrated to Israel between 1948 and 1972 – two-thirds of the Jewish immigrants in this period. Israel absorbed these immigrants at great expense, without receiving compensation from the Arab and Iranian governments which confiscated their possessions. An estimated $6 to $30 billion (in today’s prices) was left behind by the Jews of Arab countries and Iran. The demand of the Jews from Arab countries is not only for financial compensation for their property and rights. What these Jewish refugees want, most of all is redress for the historical injustice that they and their communities suffered. Thus, the demand includes an historical reckoning with the tragic events that led to the mass exodus of Jewish individuals and communities from Arab lands, many of which had hosted large and flourishing Jewish communities for more than two thousand years. In the nineteenth century the establishment of colonial regimes in the Middle East and North Africa, chiefly by France and Great Britain, allowed Jews to escape the miserable conditions so often provided to them under the rules of Dhimma. 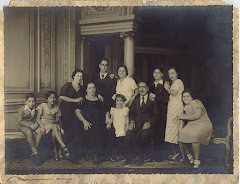 Under colonial rule, Jews enhanced their everyday lives and improved their status in society. 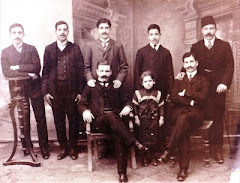 Efforts by Jewish organizations such as the Alliance Israélite Universelle, which set up a modern network of schools throughout the Middle East, provided Jews with technical skills to integrate in their countries’ developing economies. 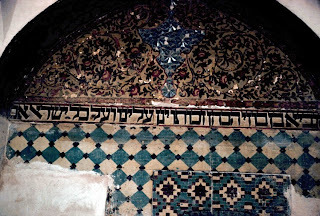 Jews often used their skills and knowledge of foreign languages to act as intermediaries between the European colonialists and the indigenous Muslim population, and often found work in colonial administrations. In countries such as Egypt, Iraq and Libya, Jews became a crucial element in the development of key sectors of the economy. 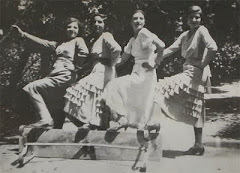 World War II brought increased suffering for the Jewish communities in the Arab world. Communities in German-occupied Libya and Tunisia faced persecution, and hundreds of Jews were deported to local work camps or to European extermination camps. In Algeria and Morocco, ruled by Vichy France, Jews endured years of restrictions and fear. 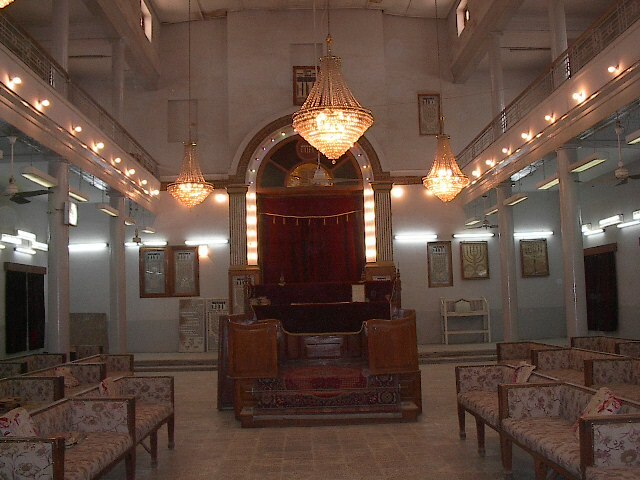 In Iraq, nearly 200 Baghdadi Jews were killed and 1,000 injured in a violent pogrom in 1941 called the Farhud, which was initiated by Arab anti-British mobs who identified Jews as collaborators with the British.4 By the end of the war, Jews’ sense of security in their countries of residence had been seriously undermined, as had their trust in the colonial powers to defend them. Increasingly, Jews looked to Jewish sovereignty in Palestine as a solution to their plight. The increasingly tense atmosphere surrounding the events in Palestine and Israel’s subsequent independence signaled the end of normal Jewish life in Arab lands. During the 1947 Palestine Partition debate at the United Nations, the Egyptian, Iraqi and Palestinian delegates issued violent threats against the indigenous Jewish communities of the Middle East and Africa. These threats were carried out in the weeks and months after the November 29 partition vote, as hundreds of Jews living in Arab lands were massacred in government-sponsored rioting. This resulted in thousands of injuries and millions of dollars in destroyed Jewish property. Upon the establishment of the State of Israel in 1948, the status of Jews in Arab countries changed dramatically as virtually all Arab countries declared war, or backed the war, against Israel. The Arab world’s rejection of the Jewish state triggered a deliberate surge in state-legislated discrimination and abuse by Arab regimes and their citizenry, making Jewish residence in Arab countries simply untenable – as some Arab leaders, including the Secretary General of the Arab League, had threatened all along. In many cases Arab governments evicted their indigenous Jewish populations as part of an expulsion campaign. These campaigns included discriminatory legislation, confiscation of citizenship, limitations on the freedom of movement of Jews, random arrests and forced imprisonment, exclusion from practice in the civil service and quotas in certain fields of employment. Such government-endorsed campaigns do not include the innumerable cases of individual citizens who carried out acts of violence, abuse, and theft targeting Jews. The value of Jewish property confiscated by Arab governments during these expulsions is estimated to be in the tens of billions of today’s dollars. Moreover, Arab nations conducted misinformation campaigns portraying Jewish life in Arab lands as ideal and respectful, while downplaying the vulnerability and lack of rights suffered by Jews in these lands throughout history. Such efforts also have striven to eliminate the historical contribution of Jews to the larger Arab societies from local and international consciousness. These misinformation campaigns also bred the accusations that the Jews left Arab countries and Iran voluntarily and therefore forfeited their rights to any compensation. 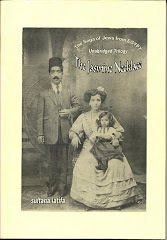 Jewish and Arab Refugees in the Israeli-Palestinian Conflict: The issue of Jewish refugees from Arab countries in the Middle East, North Africa, and Iran is salient when evaluating the general topic of refugees in the greater Israeli-Palestinian conflict. As noted, at the start of the twentieth century there were around one million Jews living in Iran, North Africa, and the Middle East, not including those living in the Land of Israel. That number fell to 500,000 after the 1948 war and to 100,000 after the 1967 war. Today, that number is somewhere between 15,000 and 35,000, with the majority living in Iran (see Appendix). Thus, close to one million Jews become refugees as a result of the policy changes of countries in the Middle East and North Africa. There are many estimates for the value of the assets lost by Jewish and Palestinian refugees spanning a wide range of values, with some grossly exaggerated or skewed by political considerations. The best estimate for assets lost by Palestinian refugees of the 1948 war was compiled by John Measham Berncastle, who undertook the task in the early 1950s under the aegis of the newly formed United Nations Conciliation Commission for Palestine. Berncastle’s estimate was 100 million Palestinian pounds for land and buildings and 20 million for movable property. Other estimates add 4 to 5 million Palestinian pounds for Arab bank accounts blocked by the Israeli government. The total of 125 million Palestinian pounds amounts to $350 million in 1948, or $650 per refugee, a number consistent with per-capita value lost for similar situations, such as Poland in the 1930s. Though it is also difficult to estimate the value of assets lost by Jewish refugees, a similar methodology has yielded an approximation of $700 million in 1948 prices or $6.7 billion in 2012 prices. This number is higher than the estimate for Palestinian refugees for a number of reasons. First, there were nearly twice as many Jewish refugees as Palestinian refugees. Second, Jews of the Middle East and North Africa, like their brethren in Europe, tended to live in urban areas and hold professional jobs, whereas the majority of Palestinian refugees lived in more rural communities. This significant difference in lifestyles could account for a difference in the amount of assets accumulated. 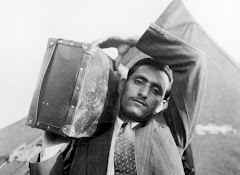 Third, Arab governments limited the value of movable property that Jewish emigrants could take with them, while Palestinian emigrants had no such limitations. Fourth, Palestinian refugees have received more than 90 percent of the blocked bank accounts from the Israeli government, totaling some $86 million in 2007 prices, while there have only been a few instances of Jewish refugees receiving property back. Some obstacles still remain. There have been financial demands from both the Israeli and Palestinian sides that have not been seriously considered, in part because of the reasons behind the demand, in part because of the astronomical dollar amount requested ranging in the hundreds of billions of dollars, and in part due to reasons connected to whether the refugee issue will be negotiated in the peace process and whether such negotiations will include Jewish refugees as well as Palestinian refugees. Determining the value for some assets, such as property value, is more difficult than for others, and there is a question of whether to use government long-term bond yields or inflation rates for calculating current value. 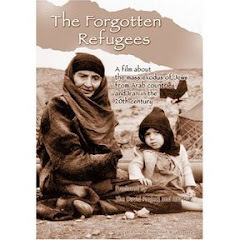 The bottom line, however, is that no matter what methodology is used, the losses of Jewish refugees from Middle Eastern and North African countries are almost certainly at least 50 percent higher than those of Palestinian refugees. 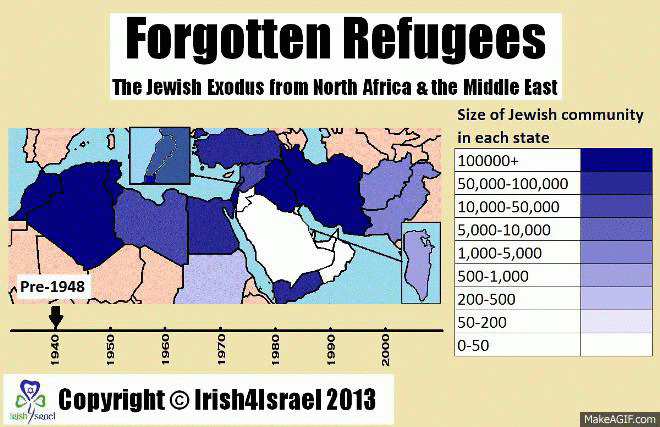 The international definition of a refugee clearly applies to Jews displaced from Arab countries. A refugee is a person who “owing to a well-founded fear of being persecuted for reasons of race, religion, nationality, membership of a particular social group, or political opinion, is outside the country of his nationality, and is unable to or, owing to such fear, is unwilling to avail himself of the protection of that country” (1951 Convention relating to the Status of Refugees). The issue of refugees, both Jewish and Palestinian, has been raised in UN discussions and resolutions. In 1948, the General Assembly adopted Resolution 194 (III),11 which called for the resolution of refugee issues, both Jewish and Palestinian, in its eleventh paragraph. General Assembly resolutions are not binding, but the Arab government representatives still voted against it. 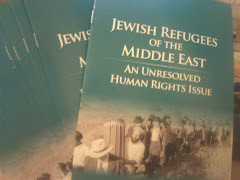 On two later occasions, in 1957 and 1967, the United Nations High Commissioner for Refugees (UNHCR) determined that Jews fleeing from Arab countries were refugees who fell within the mandate of the UNHCR.12 In 1967, the UN Security Council unanimously adopted Resolution 242, which stipulates that a comprehensive peace settlement must include “a just settlement of the refugee problem.”13 No distinction is made between Arab refugees and Jewish refugees. Indeed, the intent to include both Jewish and Arab refugees in Resolution 242 is evidenced by the fact that during the UN debate, the Soviet Union’s delegation attempted to restrict the “just settlement” solely to Palestinian refugees. According to international law, any human rights violation gives rise to a right to redress. The right belongs both to the victim and the beneficiaries of the victim. The duty to redress falls upon the state responsible for the human rights violations.18 Individual victims and their representatives are free to seek whatever legal remedies are open to them. 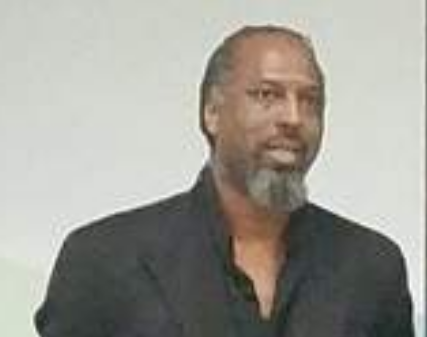 Several have chosen to do so, either in the courts of the countries where they now live or the courts of the countries from which they fled, or through negotiations with the government of the countries from which they fled. During two recent, seminal Palestinian-Israeli negotiations, the issue of an “international fund” was raised as an essential part of any comprehensive Middle East peace plan.19 This proposed plan adopts and upgrades President Clinton’s proposal following “Camp David II” in 2000 and during the 2001 Israeli-Palestinian negotiations in Egypt. The purposes of such an international peace fund would be four-fold. First, it would provide adequate funding for the development of the infrastructure for a new Palestinian state, including hospitals, schools and roads. Second, it would provide funding for Israel to establish secure defense perimeters along the new borders, as agreed upon by both states. Third, it would provide compensation for all refugees, both Jewish and Arab, who were victims of the Arab-Israeli conflict. Fourth, it would retroactively compensate countries – such as Israel (for Jewish refugees) and Jordan (for Palestinians) who invested efforts and resources to the absorption of refugees. The UN Compensation Commission and Fund20 provides a useful model that could be negotiated as part of a comprehensive Arab-Israeli settlement. In the aftermath of Iraq’s invasion of Kuwait in 1990, the UNCC adopted a policy of paying individuals first, with the remaining sums owed entirely to government entities. The UNCC also created six categories for resolving claims from the Iraq-Kuwait war. These categories include claims for families killed or injured during the war, business losses, individual anguish, cost of resettling citizens, and damage to the environment. These categories could be adapted to fit the needs of an international peace fund for the Middle East. Conclusions: Today, a large portion of Israeli citizens are descendants of Jews displaced from Arab countries. The rights of these Jewish refugees (and their descendants) should be recognized and addressed by appropriate measures such as an international fund, as part of any comprehensive negotiations to resolve the overall issue of refugees.